I present to you the new opening for As the World Turns that debuted on Monday, June 23rd. ATWT&apos;s executive producerChris Goutman might not be producing the best show (an understatement), but he does know how to update his show&apos;s opening credits every year or two. 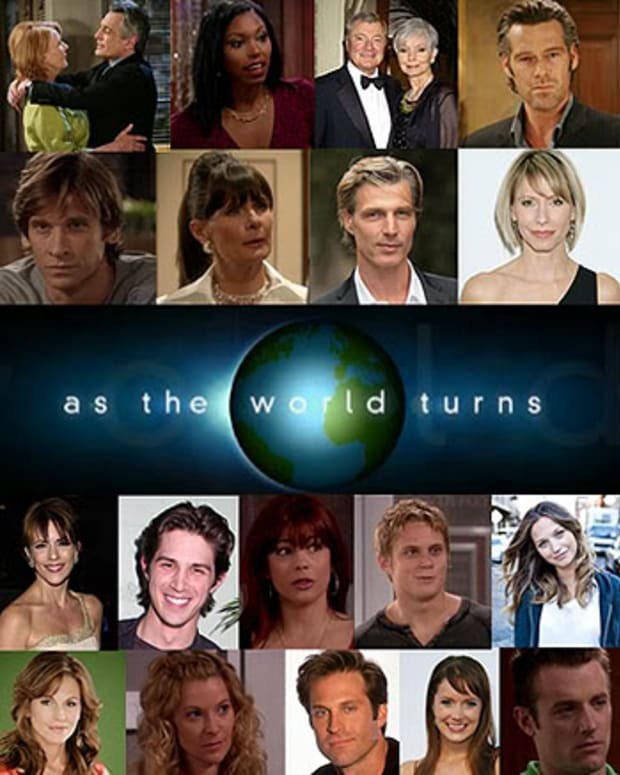 Not all of ATWT&apos;s openings have been great, but they represent an attempt to keep current. Now I know what you might be saying, something along the lines of "We have the daytime equivalent of the budget of Transformers: Revenge of the Fallen and can do much bigger, better and flashier than that! And we can include the cast, too! Hell, our credits run for 11 minutes, not 9 seconds!" Ms. Phelps, it goes without saying that of course you do and of course you can (and of course it does), which is the point. If anything you certaintly have the flashier part right: GH&apos;s current opening has more epilepsy inducing lens flares than J.J. Abrams&apos; Star Trek. However, bigger and better isn&apos;t always the point. I love ATWT&apos;s new opening. Yes, to be completely fair the opening is something I could have done in iMovie &apos;09 on my MacBook, but it clearly harkens back to the classic roots of ATWT&apos;s storied history complete with the show&apos;s iconic spinning globe instead of an abstract version of it. The lines are clean, uncomplicated and modern. 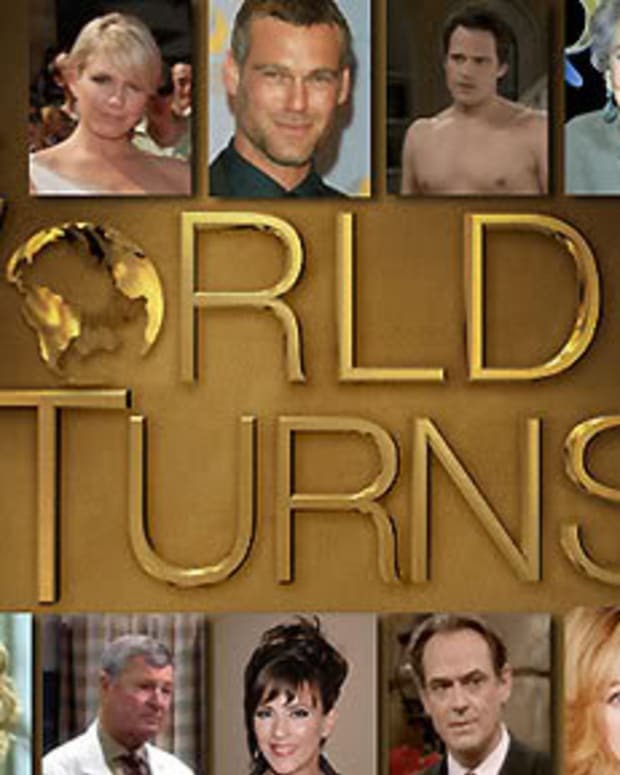 Best of all, ATWT&apos;s new opening is, well, new. Goutman gets a thumbs up instead of my usual middle finger. Oh, what I would not give to not see dead-as-a-doornail Justus Ward in General Hospital&apos;s opening anymore, or to bask in the glory Sonya Eddy (Epiphany) swinging her locs through an Adobe After Effects lens flare Laura Wright-style. What joy it would bring to my heart to have poor Alan (Stuart Damon) to stop haunting Monica (Leslie Charleson) from over her shoulder and get at least a fleeting shot of Johnny (Brandon Barash) giving a little smirk at Lisa LoCicero&apos;s voluminous 90 degree bosoms at a 36 degree angle. Ms. Phelps, I promise not to keep writing these open letters. I recently trod this road and have no wish to dwell on it any further. I do hope, however, that you&apos;ll update your credits before Jake Spencer becomes chief of staff of GH.